There's a huge amount of anticipation for the beta version (and demo) version of Cube World at the moment. We too, are very excited by the prospect of something new to rival Minecraft. 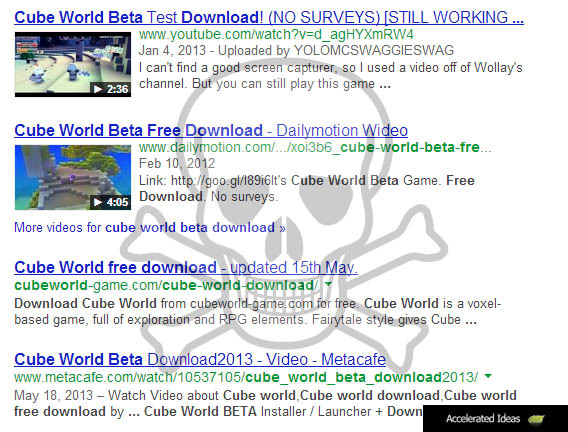 However, please be very careful of fake downloads for Cube World. We'll explain why below and give details of sites to avoid. 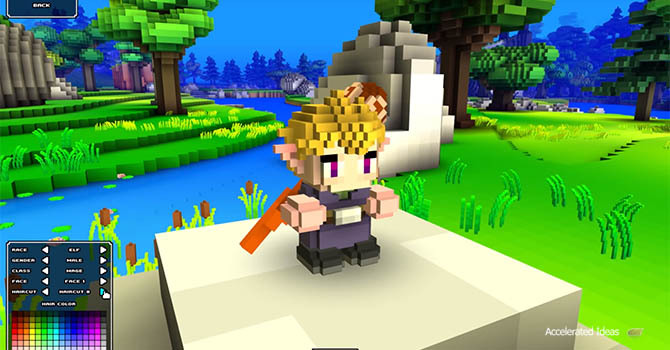 You may not be aware, but Cube World is currently running in a closed Beta phase. This means that a select number of people are able to play the game and provide feedback to Wollay (the creator of Cubeworld). This is a common process that most game developers use these days to make sure everything's ready for public viewing. Indeed, DayZ, the long awaited zombie survival game is also in closed Beta at the moment. After closed Beta, comes the public Beta. Until this stage, unless invited, you will not be able to play Cube World. That is of course unless you find an illegal version of the game somewhere. Now, time to be careful. 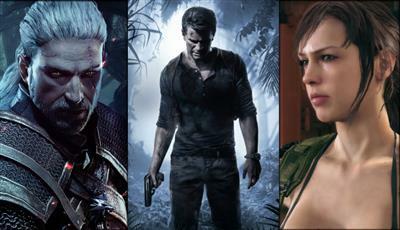 Illegal games are incredibly hard to find and almost always come with security risks. Viruses, spyware and keyloggers are just some of the surprises hidden in illegal software. 99% of the time, sites use the popularity of something to make you think you can download it early. In the case of Cube World there are several sites (listed below) that claim to offer Cube World for free - they are all liars!!! We're not saying that each of the sites is inheritably bad, it's just the people responsible for posting those pages are bad. Probably criminals.